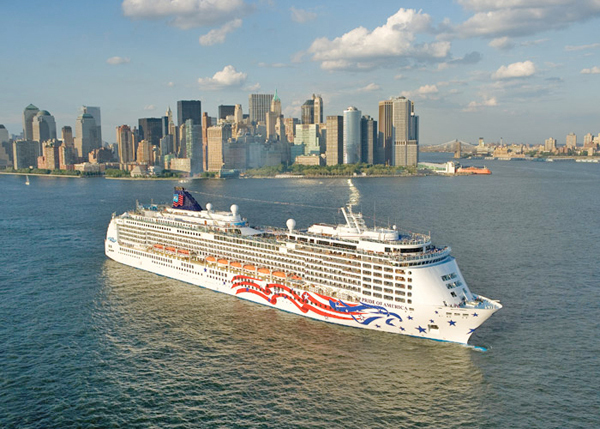 Norwegian Cruise Line’s, U.S. flagged ship, Pride of America is to undergo a $30 million refurbishment and upgrade. 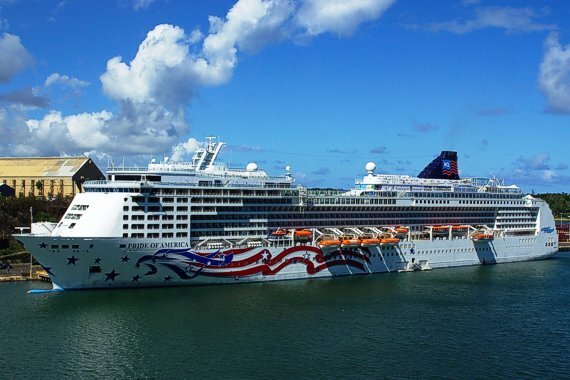 The 2,124 passenger ship will enter dry-dock in Honolulu on March 23rd 2013, her stay is expected to be 14 days. During her dry-dock stay she will be transformed with the addition of two speciality restaurants, 24 ultra-luxury suites, four studio cabins and four new inside cabins. Two of her new suites on Deck 13 will be approx 566 square-feet. These will be Deluxe Owners Suites that will sleep up to four guests. Pride of America’s suites will also have another great feature; they will be the largest in the Norwegian Cruise Line fleet. They will range in size from 245 square feet to 410 square feet. There will be upgrades in other public areas including new carpeting, flat screen TV’s in all cabins, new directional signage and wireless internet added throughout the ship. I have never set foot on Pride of America but I find her décor as it is now really vibrant and lively. She is definitely in a little class all her own but she seems so full of energy, she may not be the prettiest looking cruise ship in the world but her interior, even makes up for her exterior.